If you’re a pet owner, keeping your carpet fresh and clean can be a real chore. From potty stains and odors to fur shedding and tracking in mud, pets can do a number on your home’s furnishings. There are ways to reduce their impact, starting with regular carpet cleaning and keeping your furry friend’s nails trimmed. This list shares several tips to help protect your carpet. When dogs or cats come indoors from outside, they can track mud and water on their paws. Make sure all the entrances into your home have tile or hardwood flooring that can be easily cleaned of debris. Also, keep synthetic area rugs or rubber mats at the entrance to catch most of the debris immediately; this makes floor maintenance less time-consuming. If you’re going to replace your carpeting, consider stain-resistant brands. A protective layer is applied to the material to help it withstand all types of stains, including pet urine and droppings. It lasts longer than regular carpet and will be less difficult to clean and remove stains. Monthly steam cleaning will lift odors, stains, and debris that are embedded deep within the carpet. A cleaning solution that is designed for removing pet stains should be used to ensure the carpet gets the appropriate treatment. Professional carpet cleaning doesn’t harm the integrity of the fibers and will help maintain the lifespan of the flooring. You will also protect the respiratory health of your household by removing harmful allergens. 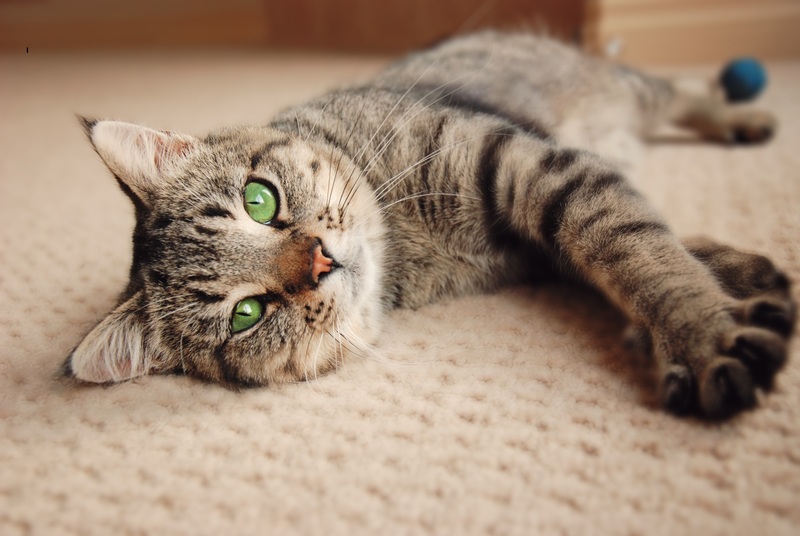 Taking steps to protect your carpeting from pet stains will help keep your home smelling fresh and looking beautiful. Turn to The Rug Beater Cleaning Enterprises in Talmage, PA, when you need professional carpet cleaning services. They offer a comprehensive selection of carpet stain removal and upholstery cleaning solutions to keep your furnishings looking their best. To schedule an appointment, call (717) 656-9826 or visit them online for additional information about the company.